The Upper St. Clair Volunteer Fire Department proudly announces a new process to donate during the annual fund drive! Engraved bricks arranged near the flagpole of our new station are still available for purchase. It’s Not Too Late! To purchase a brick, or for more information, please contact us via our webform. 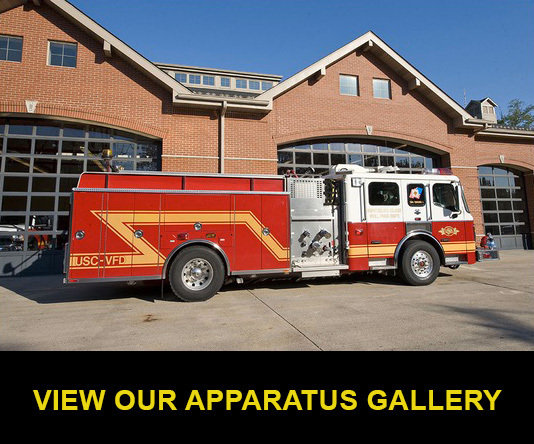 The Upper St. Clair Volunteer Fire Department holds an annual drive to raise money for the upkeep and maintenance of our two stations, seven pieces of fire apparatus, training, insurance, equipment, and daily operating costs. *This money is earmarked for the purchase of equipment that protect the firefighter such as bunker gear and air masks. Years ago, the fire department used to hold fund raising events such as: raffles, carnivals, bingo, and fish fries to raise the necessary monies. The problem with these events was that they took our volunteer members away from training, maintenance, and their families. That is why the Volunteer Fire Department must rely on tax deductible contributions from the residents and businesses in the community. Starting in early May a letter is sent to residents and businesses asking them to make a donation. If no response is made a reminder is sent in September, and a follow-up letter in December. The fire department DOES NOT solicit funds by telephone. There are some legitimate fire related organizations that solicit funds by telephone, however the Upper St. Clair Volunteer Fire Department DOES NOT receive any of the funds donated to these organizations. Without the support of our friends and neighbors, we would not be able to continue our commitment to the community.